As we proceed further, we will be deploying App-part to SharePoint Online/Office 365 and ‘Web application’ to Azure. 3) Select ‘ASP.NET MVC Web Application’ option and click on the ‘Next’ button. 4) Select ‘Azure Access Control Service’ authentication. 5) Click on the ‘Finish’ button. 2) Click on ‘Add’ and then click on ‘Web App’ option. 3) Click on ‘Create’ button. 5) A few moments later your website is ready. Clicking on the website name (ApplyLeave) will show the details of the web application created. 6) Click on ‘…More’ and then click on ‘Get Publish Profile’ as shown below. Save the profile on your machine. 2) In the Publish your app screen, select ‘New’ from the current profile drop-down menu. 3) Browse and select the Azure website publishing profile, which was downloaded earlier and click on ‘Next’ button. 4) Register the SharePoint provider-hosted MVC app by navigating to [Offic365 Site]/ /_layouts/15/appregnew.aspx. Fill all details as shown below and click on ‘Create’ button. 5) Back in Visual Studio 2013, copy and paste the ‘Client ID’ and ‘Client Secret’ as shown below and click on the ‘Finish’ button. 6) Subsequently, click on ‘Deploy your web project’ button. 8) Once the preview process is completed, click on ‘Connection’ tab. Change the ‘Destination URL’ from ‘http’ to ‘https’ and click on ‘Validate Connection’ button. 9) If ‘Validation’ succeeds, click on ‘Publish’ button; otherwise, correct the errors and click on ‘Publish.’ After the site is published, you should see the ‘Site was published successfully’ message. 10) Next, click on ‘Package the app’ button. Ensure ‘Client ID’ matches with the one generated earlier and click on ‘Finish’ button. The App package gets created. 11) Navigate to your ‘AppCatalog’ site and upload the ‘app package’ created in step (10) by clicking the ‘Upload’ option. 14) Click on ‘From Your Organization’ (present on the left menu) and then click on ‘LeaveRequest’ app. Click the ‘Trust it’ option. 15) Once the app is added, click on it. You can see it is now redirected to the Azure web site created earlier. Let us now look at the various steps required to extend a simple welcome message app that allows employees to submit leave requests to their managers. The sample leave request app will read from and write to this list. 1) Log in to Office 365 SharePoint Online site previously used for deploying your app. 3) On the top ribbon menu, click on ‘List’ tab and then ‘List Settings,’ as depicted below. Now modify the code files highlighted in green. //Below Action gets called when "Create" button is clicked on the create.cshtml view. Here we write code to store data in to a datasource (like SQL server) in this case SharePoint List. In the App Project (1st project in the solution) go to ‘AppManifest.Xml’ file and click on ‘Permissions’ tab. Assign permissions as shown below. Now re-publish the app to Office 365 and web application to Azure as explained previously. Evoke Technologies provides innovative SharePoint services and solutions, helping global enterprises meet their collaboration needs. Evoke’s comprehensive SharePoint Online and SharePoint on-premises services enable organizations to meet their business goals and adds immense business value. At Evoke, we believe SharePoint is the right cloud ecosystem for growing enterprises. Evoke’s SharePoint services streamline workflow, maximize efficiency and enhance overall productivity for enterprises across the globe. Evoke has partnered with Nintex and TekDog Inc., the world leaders in productivity, training and workflow solutions. Our partnerships with Nintex and TekDog Inc. help businesses easily embrace SharePoint services. Call Evoke Technologies at (937) 202-4161 (Select Option 2 for Sales) or visit our website to find out more about how simplified solutions for everyday business challenges can be at your fingertips now! 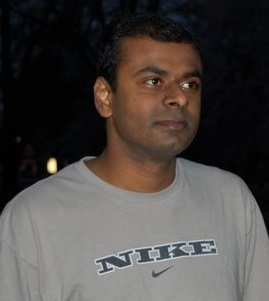 Srinivas Challagolla was working as Technical lead at Evoke Technologies. He has 9+ years of experience in designing and developing web-based solutions using Microsoft technologies. In his spare time, Srinivas likes to read and explore emerging technologies. I am getting default MVC errror. If i do not add code related to Leave Request then its working fine but not otherwise. Error is – An unexpected error has occurred. Please try again by launching the app installed on your site. I am new to sharepoint concept but have ASP.Net MVC knowledge. I am getting error when I clicked on New Vacation Request link. Please help me ! Its urget.